One of my New Year resolutions is to drastically limit my meat consumption, partly for health reasons but mostly for environmental reasons. Raising livestock is one of the biggest pollutants on the planet and uses a third of the world’s fresh water. For me, that was reason enough. And so far I’ve stuck to it! It actually wasn’t as hard as I thought it was going to be (and I am a meat lover!) but that’s largely due to the fact that I’ve been eating healthier and preparing my own meals. Veggies prepared the right way can be just as filling and substantial as meat. One of the dishes that I’ve had on repeat is this mushroom, walnut and wild rice “meatloaf”. 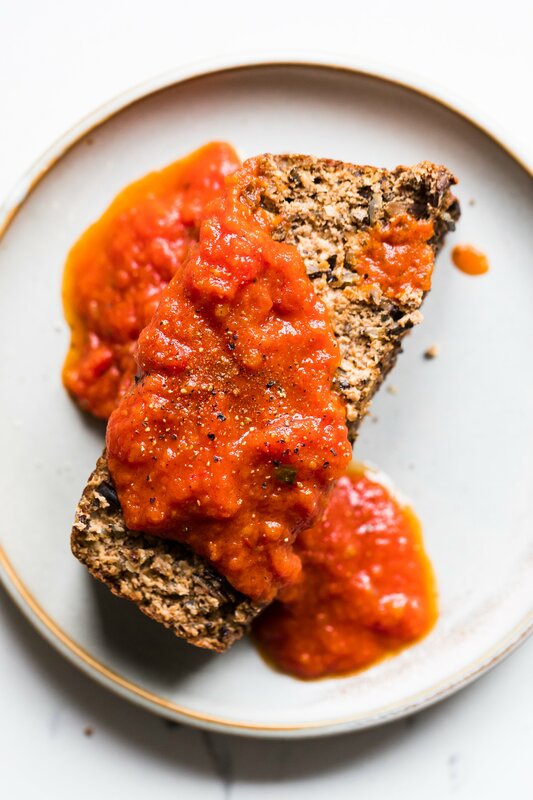 You’ll need a food processor but this is otherwise very easy to make and topped with some spicy tomato sauce, this can easily become the star of your dinner! 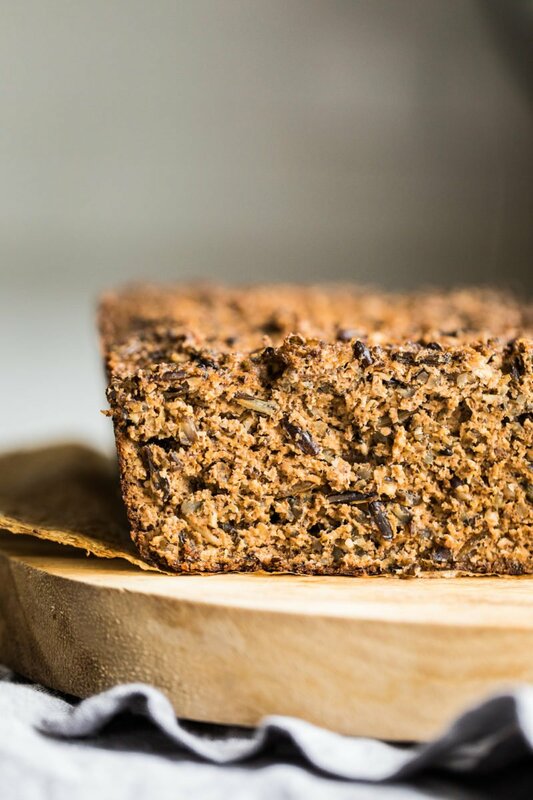 The key is to process the mixture so that you have small chunks of mushroom and walnut and rice so that the loaf has good texture. 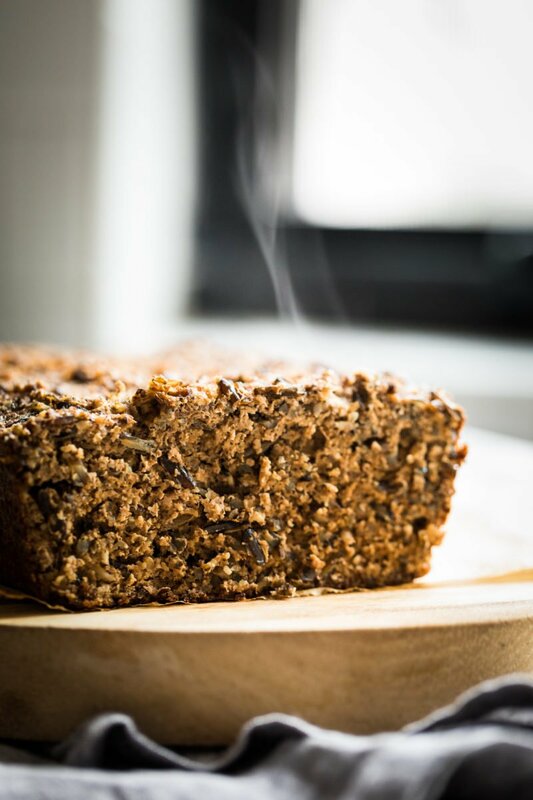 Mushroom, walnuts and wild rice create a flavorful and moist vegetarian "meatloaf"
Preheat the oven to 425 degrees. Clean the mushrooms by wiping them with a damp towel. Cut the cremini mushrooms in half and remove the stems from the shiitake mushrooms. Pour a couple glugs of grapeseed oil over the mushrooms and season with a few pinches of salt and some black pepper. Roast on a baking sheet for 10-15 minutes until they start to brown around the edges. Remove the mushrooms and lower the oven to 375 degrees. While the mushrooms are cooking, sautee the onion in a glug of grapeseed oil over medium high heat until they become lightly caramelized. Toast the walnuts in a clean pan over medium heat until they become toasted and fragrant (be careful not to burn them). Combine the cooked mushrooms, onions, walnuts, rice, tamari, and tomato paste in the food processor and pulse ingredients until the texture is consistent and becomes a paste with small lumps. Taste the mixture and add more salt and pepper if needed. It should taste very flavorful and be seasoned well. Beat the eggs in a bowl and add to the food processor and pulse until just incorporated. Oil a loaf pan with grapeseed oil and line with parchment paper. Pour the mushroom mixture into the loaf pan, cover with foil and bake at 375 degrees for 40 minutes. Remove the foil and bake for 10 more minutes. Allow the loaf to cool for at least 10 minutes before slicing. Serve with your favorite tomato sauce.